Upcoming Sale April 26 - 28, 2019! Buying or selling, out for a browse or ready to engage for services? We can help. We specialize in personal property/estate liquidation sales and services. We pride ourselves in conducting sales in as organized and professional a manner as possible, given the often challenging process of household content liquidation. 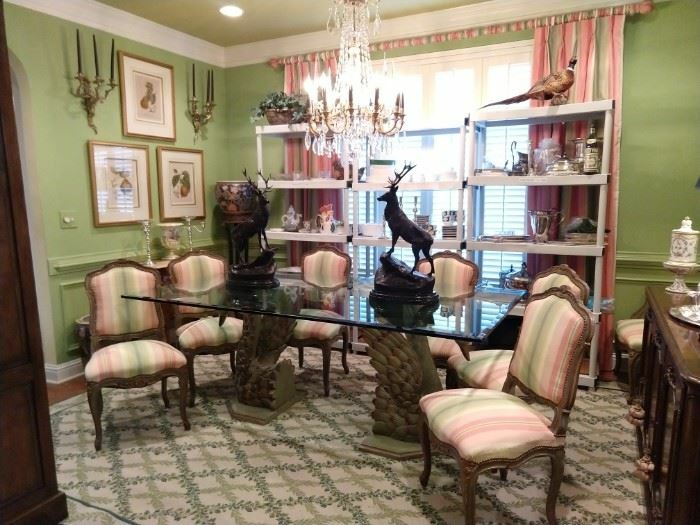 If you are a shopper and have ever been attracted to an estate sale only to be disappointed by mountains of rubbish or incompletely priced inventory, you will be pleasantly surprised at our sales. We are careful to organize and clearly price all items for sale. If you are looking for something in particular, please let us know as we will be happy to help you in your quest. If you are an executor managing any size estate, a family member clearing a small apartment, or an empty nester transitioning to a more comfortable scale, we are fully equipped to help with your estate liquidation needs. An overview of our service offerings is available on our Services page. Please call or write and we will be happy to answer any questions you have.